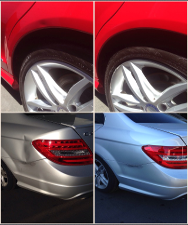 Caliber Collision is our body shop of choice for anyone who requires body work on their vehicle. They provide the highest level of services and quality work, please click the image above to travel to their site and schedule an appointment. The open road isn’t always kind to your luxury vehicle, and plenty of dents and dings are sure to accumulate as the miles pile up. From a kicked-up rock to a parking lot scratch, our car detailing services in Riverside is best prepared to keep your car in peak condition, even when the damage isn’t wearing down your performance. After all, sleek aesthetics are a big part of the package when it comes to the appeal of your luxurious Porsche ride. 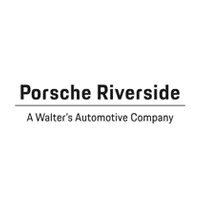 So what exactly can the team at Porsche Riverside do to help keep your car looking good as new? One of our most popular services is a full car detail for the entirety of your vehicle, including both the interior and the exterior for a complete revamp. The entire cabin and trunk will benefit from a full cleaning, including all cloth, leather, vinyl and plastic materials and seating surfaces. In addition, the full car detail involves polishing and touch-ups for the paint job on the exterior, which will have your car looking like it just rolled off the lot. Combined with restoration and polishing for the headlights and taillights, your vehicle will have a distinctly new feel that’s unmistakable on the roads. Paintless dent removal: our highly experienced staff can remove most dings and dents to help you avoid the added costs of panel repairs, etc. Full detail service: we perform full interior/exterior vehicle details on site. Paintless dent removal is another excellent service offered at our service center, allowing for small dents and dings to be lifted and restored without damaging the paint around it. This is achieved by applying pressure to either side of the dent and pushing or pulling the area back into its original position. Without the need for refurbishing the paint, you can avoid unnecessary services in addition to issues that you already have on your vehicle. Of course, our team is also capable of paint touch-up and repair should the area need it, allowing you to get the aesthetic best out of your favorite vehicle. We know that the appearance of your Porsche matters to you, so we take special care to deliver the best service possible for all of your needs. For more information on paintless dent repair in Riverside, please contact the Porsche service center at Porsche Riverside by calling (888) 536-5618!